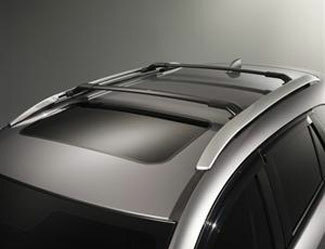 These durable, all-purpose Roof Rails are a convenient way to increase cargo capacity. When accompanied by the Cross Bars, the versatile design accepts bicycle and ski / snowboard carrier attachments and features 100-lb. capacity evenly distributed. Cross Bars and attachments not included.. This product requires: 0000-8L-R02.